Wine makers speak with passion about their creations and we especially appreciate the opportunity to share in their enthusiasm. Our special thanks to our gracious hosts, Signore Antonio Deltetto and his lovely daughter Claudia , for their time and insights as we spent over three hours with them yesterday at the beautiful Deltetto family winery in Canale, Italy. Antonio happily explained the challenges and joys of the family wine business, now in its 60th year, and how the soils and hills of neighboring Piemonte Roero and Langhe regions lend themselves to different styles of wines based on the local Nebbiola and Barbera grapes as well as Arneis, Moscato, Pinot Nero, Chardonnay and other varietals. Over 50% of the Deltetto label of elegant whites, fruity Pinots, noble reds and delightful brut and rose spumanti sparkling wines are exported to northern Europe and Scandinavia, Japan, Canada and the USA. Antonio is especially proud of his Spumanti line which he started in 2000 and produces in the “Classic Method” of in bottle fermentation. We sampled Spumanti Brut Rose vintages going back to 2005 and were fascinated by the subtle differences. The 2007 was especially wonderful. Overall, we lost count at how many bottles of the Deltetto line of fine wines we sampled through the morning. Antonio took us back to school for a morning well spent at the foot of a wine master about the great wines of Piemonte. We left with a notebook full of thoughts and look forward to our future shipment of Deltetto whites, reds and sparking wines. We are in the Piedmont region of NW Italy, close to the town of Alba, famous for its white truffles and home to Nutella, the hazelnut dynamo that has taken the world by storm. Throughout this region countless hazelnut trees fill the valley floors and entrepreneurs such as Stefano and Isabella Barroero in the hamlet of Cortemilia have turned the nut into a thriving family business producing nearly 20 types of coated hazelnuts, creams, confectionery products, baked goods and more on their farm Cascina Barroero. Stefano graciously spent a few hours with us this morning explaining the hazelnut business from grove management, harvesting, shelling, sorting, roasting and how the little nut gems are transformed into taste tempting products that he and his family ship worldwide, including to the United States. Isabella, meanwhile, was busy in the production kitchen and we learned the manic business of cookie production….and a little taste testing along the way. Thank you Stefano and Isabella! Ireland may get all the press about being green, but in Tuscany this spring the fields are green seas of winter wheat swaying in the wind. The harvesting has begun at some farms but today we saw acres and acres of wheat destined to become Italy’s famed pasta and breads. With Spring coming to Italy the festival season is underway. 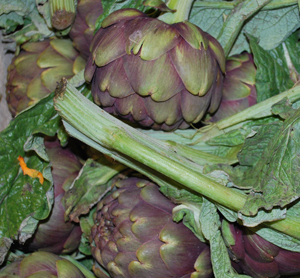 This weekend lovers of artichokes will be flocking to the town of Ladispoli on the Mediterranean coast north of Rome for a weekend of culinary fun highlighting artichokes, remarkable artichoke art works and music. Harvest time brings out festivals around the world from apple picking here in Virginia to olive pressing in Italy. The annual Alba Truffle Fair, held each October to early November in the village of Alba in northwestern Italy, is ground zero for celebrating some of the world’s finest “tartufi bianchi,” or white truffles, considered by many as one of the world’s richest flavors. Even if you didn’t get an invitation to the auctions where fanatics will bid up white truffles into the tens of thousands of euros, you can join the happy crowds and browse the weekend town markets for truffle oils, cheeses, and more or settle into a local café for menus celebrating mushrooms in more ways than you thought possible. 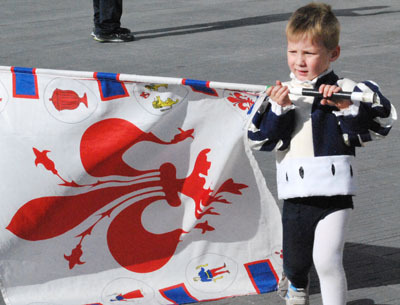 Naturally, no Italian celebration is complete without medieval costumes, parades and contrada – neighborhood – contests. In Alba they race donkeys in the annual competition for neighborhood bragging rights. Please check out our website for a comprehensive list of Italian festivals. This weekend, following a costumed procession through town, teams from the eight neighborhoods [contradas] of the Italian hill town of Montepulciano will compete for glory in the “Bravio della Botti” - a race rolling wine barrels over a mile up the main street of the town to the Piazza Grande. At Piazza Grande, be sure to visit the Contucci Winery Cellars, famous for over 300 years for producing Montepulciano’s prized “Vino Nobile.” The cellars were built in the 13th century! Each year on June 16th buildings, bridges, towers and churches along the entire Pisan riverfront are illuminated by small glass-enclosed candles - some say over 120,000! The reflection off the water is magical. This tremendous effort dates back to 1688 as the citizens of Pisa come together to celebrate their patron saint. Around 10 PM the city will erupt in a wonderful fireworks display…...Tomorrow crowds will line the river to cheer their district teams on for the 2 km boat race down the Arno River with a pole climb at the end to crown the winning neighborhood rowers. When we design your trip to Italy, we outfit you with ideas and plans that will give you the best opportunity to experience Italian life at your own pace and to gain understanding through the eyes of real Italians and artisans. Thursday is market day in the Umbrian hill-top town of Montepulciano. As you walk up Via del Poliziano from the parking lot outside of the town walls, on right will be Via dell’Opio nel Corso. As you pass shops and markets you’ll see at #64 the Bottega del Rame with its horde of wonderful handcrafted artful copper works and premium culinary products that are cherished by master chefs around the world. Further up the hill at Via del Teatro 4 you’ll find the workshop of the coppermaster himself, Cesare Mazzetti, a third-generation coppersmith. Drop in on Signore Mazzetti and you’ll be treated to a personal tour of his workshop and museum that will leave you overwhelmed with his passion for and love of the ancient art of copper. Lucca, located in Tuscany northeast of Pisa, still maintains its charming medieval character with its 16th century enclosing city walls and a traffic-free interior. This fascinating and beautiful city will thrill you with its stunning sights, music, shopping and architecture - with some buildings dating back to the 6th and 8th centuries. 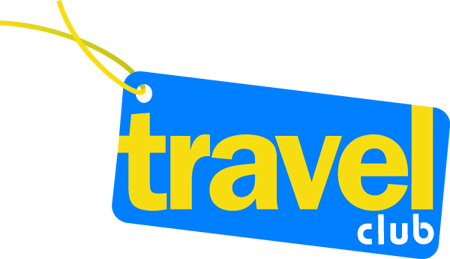 There are plenty of places to eat and drink and some beautiful apartments and hotels to stay in. Lucca is small enough to easily get around. You’ll enjoy roaming its maze of narrow streets. These cobbled streets are traffic free but full of people on bicycles. The city walls are over two and a half miles around and wide enough at the top for bicycles and a picnic. Lucca’s population of 84,000 is actually more than that of central Venice. Each July Lucca comes alive with the Lucca Music Festival. This year the month-long celebration will host Elton John, Los Lobos, Bob Dylan, Lauryn Hill, Billy Idol, Snoop Dogg and more. If your music tastes are more into opera and the classics, head to Church of San Giovanni for the Puccini International Permanent Festival. From March 31st to October 31st you’ll find evening concerts there nightly at 7pm. Each evening concert features a different cast of international singers and musicians. Lucca is an easy day trip from Florence. The 1 hour, 19 minute train ride will cost you about $10 each way. When we inspect hotels in Italy we make a point of checking out the roof-top patio and the view. Some can be austere but the best are garden settings with a handy bar nearby and maybe even a pool. There is something calming about knowing that there is a well appointed roof-top hideaway where you can take a break from sightseeing, grab a cool drink and enjoy the panorama. Celebrating Easter Sunday today, the citizens of Florence, Italy and thousands of visitors turned out for the annual Scoppio del Carro “explosion of the cart” fireworks. An elaborate cart which stood almost three stories high was drawn through the city by a team of white oxen to the Duomo, the main cathedral. At the conclusion of High Mass a dove-shaped rocket slid down a cable from the altar at 11AM to the cart in the Duomo Square and set off the fireworks. A medieval costumed parade followed in the afternoon. Need an excuse to visit Italy? 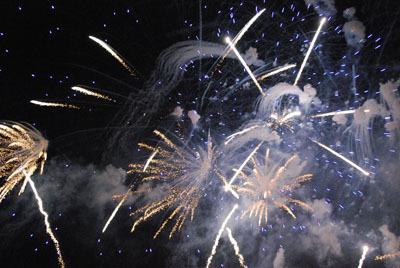 CLICK HERE to see our annual list of over 150 festivals and celebrations throughout the country. 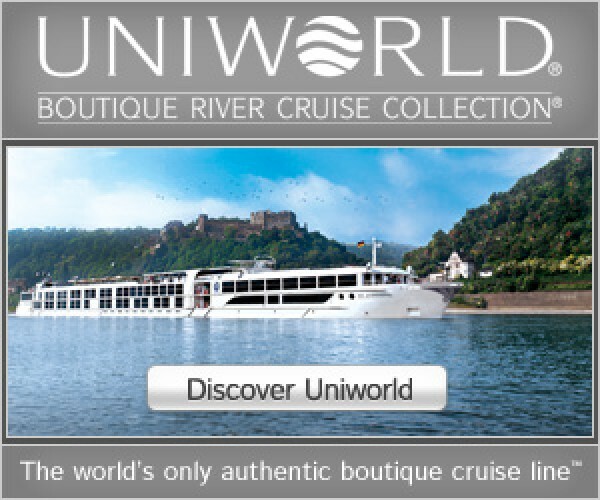 Experience Europe the Go Bucket List Travel way. Let us help you join the party! 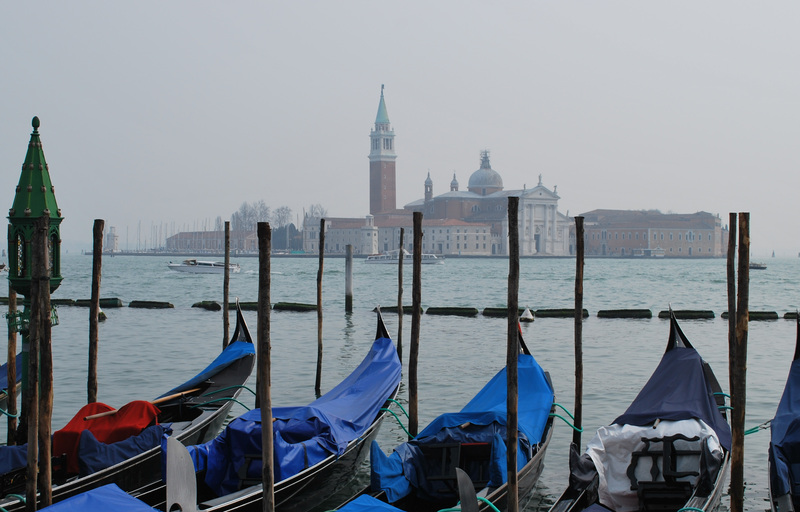 Think a vacation or honeymoon in Italy is all about visiting art museums or churches? 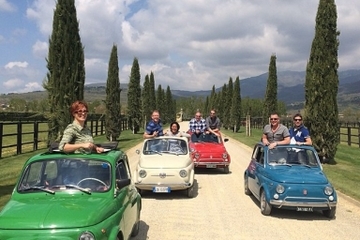 How about combining a vintage Fiat 500 road rally tour with a Tuscany wine experience! You’ll travel from Florence in a convoy of fun-loving fellow explorers as you drive a classic FIAT 500 right out of the 1960s. Just follow your expert guide into the picture-perfect hills of Tuscany for an afternoon adventure - he’ll stay in touch with you by radio so you won’t get lost. After arriving at a 15th-century villa and wine estate, you’ll participate in one of two wine tours: either a wine-tasting session and vineyard tour, or a winemaking experience where you’ll meet the head winemaker and stomp on the grapes! The entire afternoon of rally driving and wine experience lasts over five hours. pic courtesy of Our Friends at Viatour. Fish for Dinner. 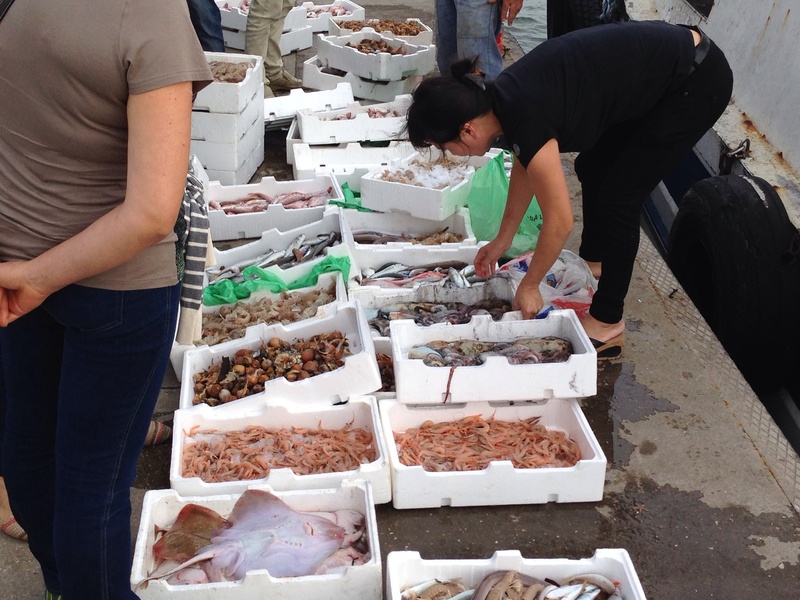 We are spending the day in the seaside fishing port of Fiumicino, Italy. The fishing fleet comes in around 2pm up the Tiber River and the action starts as local chefs, fish mongers and the curious come down to inspect and buy the fresh catch of prawns, fish, squid and mussels. An hour later the fish mongers are auctioning the catch to other resellers. Enjoying traditional festivals is always a wonderful excuse to visit Italy. Each June 16 and 17, Pisa transforms itself into a fairytale kingdom as it celebrates the feast day of Saint Ranieri, Pisa’s patron saint with the Luminara di S. Ranieri, an event that dates back to 1688 and the Palio di San Ranieri which has its origins hundreds of years earlier. On June 16, the eve of the saint’s feast day, the Pisa paints itself with over 70,000 “lumini” [small glass votive lamps burning oil or wax] on the windows, balconies palaces, the parapets along the river Arno and the bridges while many other candles are set free to float on the River Arno. The evening concludes with a massive fireworks display. The following day four boats representing the four Pisa districts compete in a rowing competition down the River Arno. The winning team isn’t selected until a rower climbs the 25 foot flag pole at the end of the course and captures the flag. 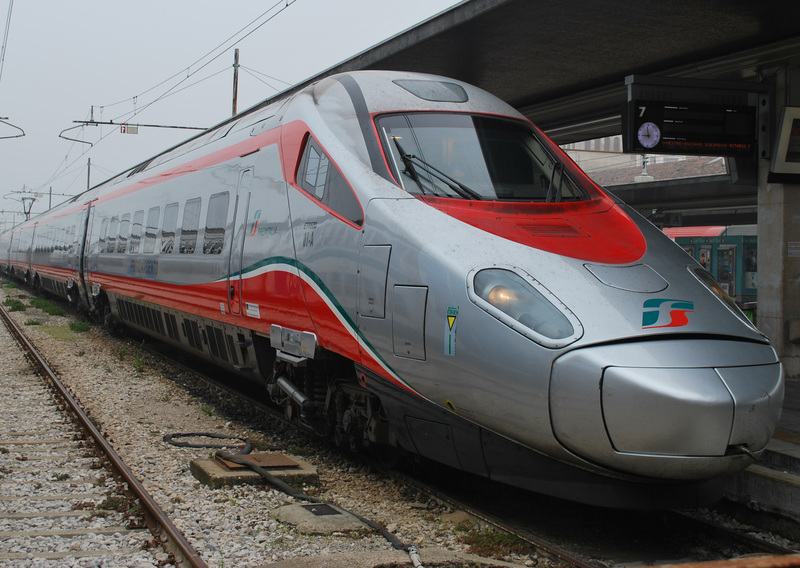 Traveling within Italy by train is easy, convenient and an exceptional value when compared with intercity air or driving but train travel can also seem very confusing. 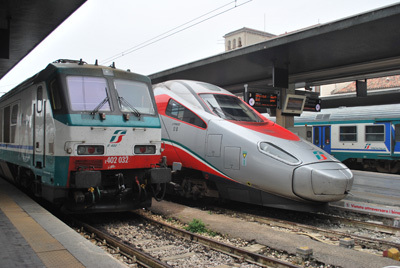 Depend on Go Bucket List Travel’s advice and services to arrange your Italy and European rail passes or individual city-to-city tickets and explain your options on which rail pass to buy, the better flexi-travel programs, the different train types, choosing 1st or 2nd class seating, making reservations, using special high-speed trains or night trains and so on. or call today at 855-GOBUCKET [855-462-8253]. It is said that Italy is home to over 500 monasteries with 45 of the Benedictine Order alone. Many can be seen on Italian hill tops and we suggest that you add a monastery visit to your Italian holiday plans. Most are open to the public during certain hours and some even have lodging facilities that can be booked in advance. Foremost among many is the Archabbey of Monte Oliveto Maggiore in eastern Tuscany. Founded in 1313 as the home to the Benedictine Congregation of Saint Mary of Monte Oliveto, the Abbey seems to appear suddenly out of the forest as you wind your way up the mountain. Let someone else do the driving as you’ll be enthralled with commanding views of the valley below. Crossing the 14th century drawbridge you quickly sense that you have left contemporary life behind. We recommend that you give yourself at least two hours to tour the facilities and take time for Holy Mass. Holy Mass with moving vespers and Gregorian chant is celebrated daily at 6:15 PM and 11:00 AM on Sundays. The Abbey is open to the public from 9:15 AM-Noon and 3:15-5:00 PM. Along with the Church, don’t miss its Cloister and Library, all open to the public during certain hours. The monks are winemakers so it’s not surprising that there is a wine cellar accessed behind the main building. The church was renovated in Baroque style in 1772 and its 14th century wooden inlaid choir is renown. The Great Cloister, the heart of the abbey, was constructed between 1426 and 1443 and is world famous for its frescoes of the Life of St. Benedict painted by Signorelli and il Sodoma and considered among the most important Renaissance artworks in Italy. The stairs behind the Great Closter rise to the Library which houses some 40,000 volumes, including priceless rare hand crafted and early 13th century printed works. Arriving at the Campo dei Miracoli - Field of Miracles – in Pisa, next to the Cathedral, one is struck by the sight of so many people engaged in what seems to be Tai Chi exercises. What they are really doing is posing for someone in the distance who is taking a photo of them holding up the Leaning Tower of Pisa! Tuscan and Umbrian villages and cities come alive in the late spring and early summer celebrating religious, historic and just for fun festivals. Off the beaten tourist track, little Spello on the SS75 route between Assisi and Foligno in Umbria will display its religious devotion on the ninth Sunday after Easter [June 21 and 22, 2014] by carpeting itself in street art made entirely of flower petals. 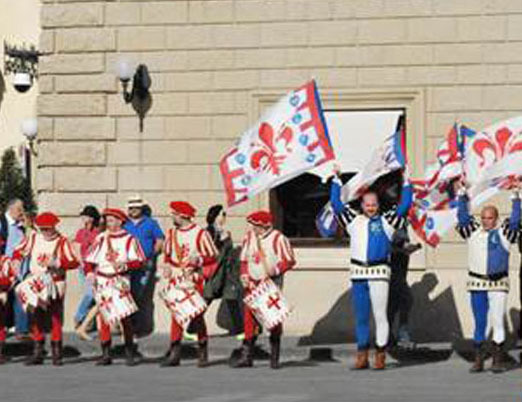 The Infiorate di Spello is an annual competitive team event. Imagine the beauty and artistic skill required to produce such fragile, transient masterpieces! 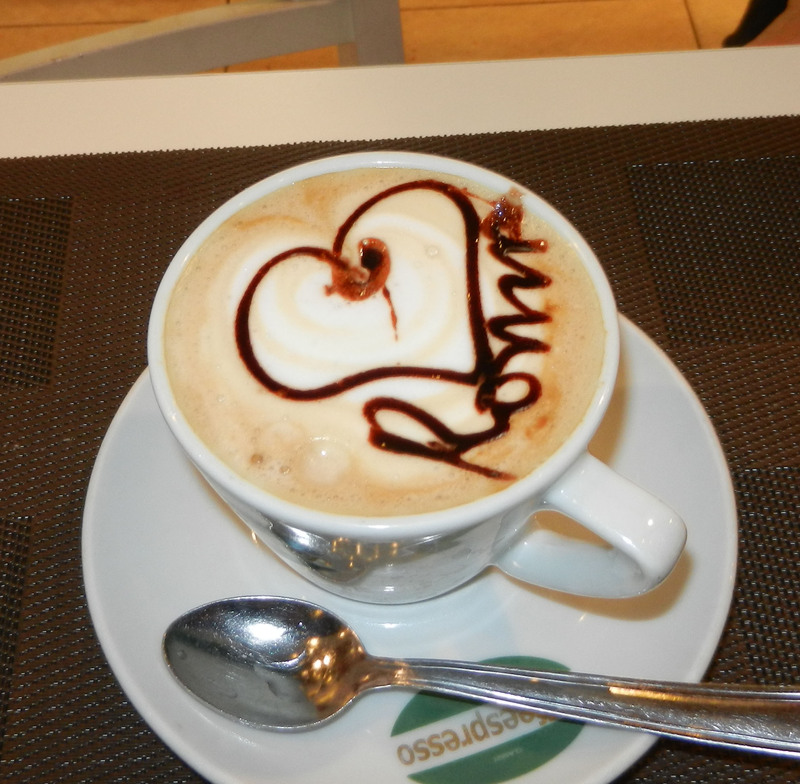 It may go without saying, but Italians are passionate about their coffee. Twenty-three year old Giacomo Vannelli, Italy’s 2014 Champion Baristi Caffetteria, will represent Italy at the World Barista Championship to be contested in Rimini, Italy in June. In March we enjoyed afternoon coffee and delicious pastries at the Vanelli family coffee/pastry shop in Camucia di Cortona, in the province of Arezzo. Good luck, Giacomo! Sampling small delectable bites at the local cicchetteria is a Venice, Italy tradition. 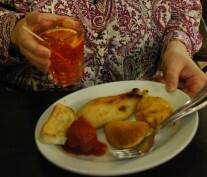 Similar to Spanish tapas bars, the local Venetian “cicchetteria” is a small local restaurant-bar offering food and local wine. Much like a pub-crawl, we visited several one evening for a fun-filled way to meet locals and fellow travelers and an inexpensive way to sample Venetian cuisine. Today we celebrate the first anniversary of Pope Francis’ reign. When in Rome be a part of the Wednesday Papal Audience. We have programs that include tickets, an expert English-speaking guide, seating and audio headsets for this moving experience. Call us today for details. In Italy wine tasting can seem to be more like a meal then the “here’s a few tiny glasses, drink up and leave” experiences we often have back home. Be patient and enjoy! Italian agriturismo (farmhouse) – working farm holidays, farm guest houses, B&B’s, farm restaurants and wine and olive farms draw thousands of visitors each year. Nestled in view of the beautiful Renaissance town of Pienza and overlooking the farmlands and estates in the Tuscan Val d’Orcia we found the Podere Il Casale cheesery and farm restaurant. 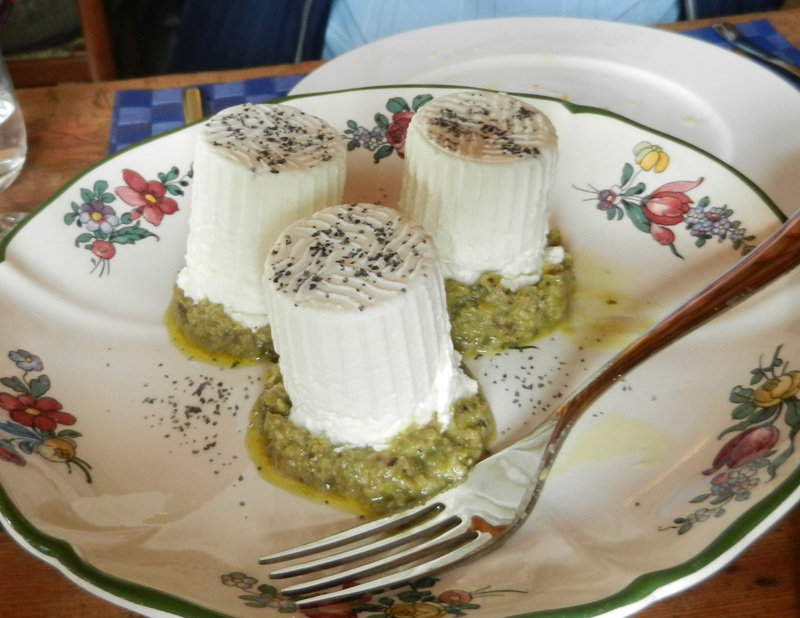 Sandre and Ulisse, the owners of this 170 acre farm, have established a reputation for crafting wonderful goat and Pecorino cheeses and their private olive oils and wines. Following our meal featuring delectable products from their sustainable farm – such as chestnut pasta over lentils and kale and various cheeses, of course, Sandre escorted us through the farm full of baby goats, peacocks in full plumage, donkeys, chickens, sheep and pigs. In the cheesery she gave us a thorough understanding on the processes they use and what it takes to be a recognized sustainable farm in Italy. We have met up with four close friends and seasoned Italy fans. Our host, Niek, from Holland, owns a lovely, spacious villa near Perugia that we are delighted to offer to our travel guests. 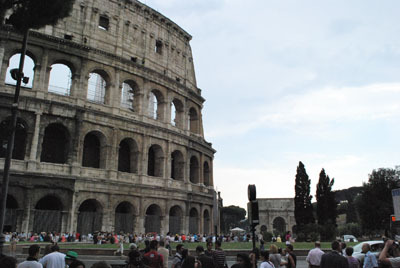 (see our Italy itineraries). Our goal is to develop an itinerary for guests who would wish to rent Niek’s beautiful villa. Yesterday we toured the cellars of the Lungarotti fine winemakers. 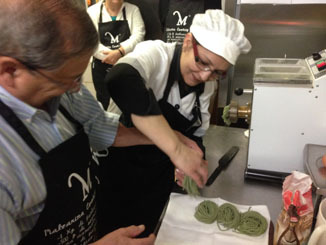 Last night was cooking lesson night as Letitia and Lydiana of the Agriturismo Malvarina near Assisi put us through our paces. We learned how to prepare authentic Umbrian farmhouse dishes including stuffed rabbit, gnocchi, fried artichokes, fresh pasta made with spinach, fried dough with mushrooms, dough-wrapped spiced pears and more. Following two hours of cuisine prep we enjoyed our farmhouse meal by the warm glow of the fireplace….a perfect evening. Over the past five days we visited 27 hotels in Venice and Rome. 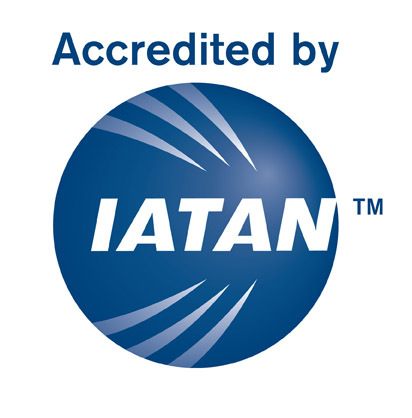 While we had studied their websites and customer comments ahead of time, the collection was like that proverbial box of chocolates…each a surprise in some respect. We saw spartan monastic…luxurious retreat…functional elegance…modern reserved…neighborhood casual bed and breakfast….and the occasional bordello look-alike. While different in ambiance, age, size, location and price points, they all shared a common trait…all were highly recommended by our suppliers. The reality is while their styles may not appeal to everyone, there are customers out their who enjoyed each hotel. We came away as always with a strong appreciation for those in the hospitality trade who go out of their way to make each guest feel welcomed. Not all rated hotels are the same. Matching clients to properties is still very much an art form. We went to school this week so we may be of better service to you for when you plan your Italian adventure. ​From an indoor pool to several rooftop terraces with panoramic views of the Eternal City, we were delighted by several surprises during our visit to seven four-star hotels here in Rome today. The management teams were gracious with their time and hospitality. The hotels ranged in size from 38 to 111 rooms. All offered the typical collection of standard or “classic” rooms to deluxe, superior and suites. Some hotels were richly appointed and there were those with clean simple styles. From standard up to superior rooms were defined by their size and benefits such as balconies or city views. Several hotels offered adjoining rooms to accommodate extended families. Others had rooms large enough for three beds for parents and children. Most of the hotels were already heavily booked through the high season into June and then again in September and October. The bottom line was to book early but also to have a clear vision of the sort of room that most appealed to you so you are thrilled with the selection. We continued our hotel inspection tour heading on to Rome via an ultramodern Trenitalia Frecciargento train from Venice to Rome. This seven car train offered four levels of service and made six stops enroute, reaching speeds of over 155 mph as we cruised south through Tuscany. The trip took all of four hours. Our two coach seats cost 160 euros, about $225. Of course Venice is known for its canals but we found Venice to be a city of church bells and glass. The morning begins with competing church bells as the faithful are called to mass and churches celebrate the end of the services. On every street there are stores and galleries displaying local Murano glass, from the cheap souvenirs to elegant works of art. We have been amazed by the many beautiful glass designs. Each of the thirteen hotels we visited boasted lovely Murano glass chandeliers or light fixtures. 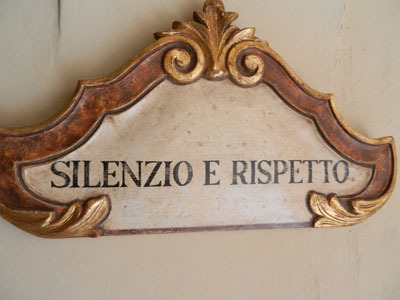 Tomorrow we are off to Rome for our next round of hotel inspections. We are in Venice for a few days to inspect hotels. 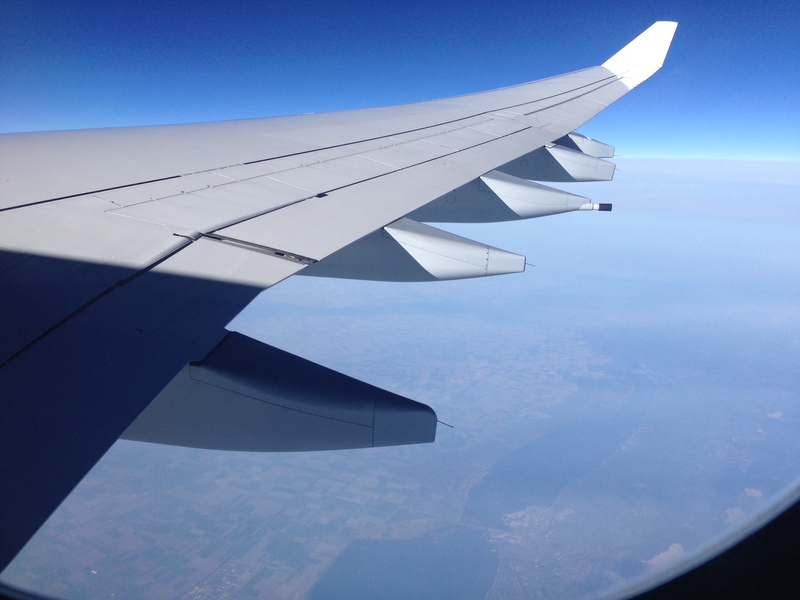 The weather is sunny and cool…. perfect for a lite jacket. The city is not yet overrun with tourists. Venice is a compact city… easy for walking..we recorded over 23500 steps!…. but the Vaparetto (water busses) are convenient for getting around. Our host, the Hotel La Commedia, perfectly located near the famous Rialto Bridge, offers modern appointed rooms and an attentive and caring staff.